Utopian projects aspire to a better world but their forms may only ever live in our imaginations. Furthermore, we are as haunted by their failures as we are inspired by the aspiration to repair the failed and build the new. This anthology contextualizes art's current engagement with the utopian in relation to political thought, viewing the utopian as a key term in the artistic lineage of modernity. 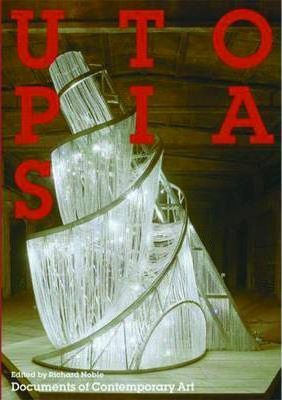 It illuminates how the exploration of utopian themes in art today contributes to our understanding of contemporary cultures and the possibilities for shaping their futures. Artists surveyed include: Joseph Beuys, Paul Chan, Guy Debord, Jeremy Deller, Liam Gillick, Antony Gormley, Dan Graham, Thomas Hirschhorn, Ilya and Emilia Kabakov, Bodys Isek Kingelez, Paul McCarthy, Constant A. Nieuwenheuys, Paul Noble, Nils Norman, Philippe Parreno, Pil and Galia Kollectiv, Superflex, Rirkrit Tiravanija, Mark Titchner, Atelier van Lieshout, Jeff Wall, Andy Warhol, Wochenklauser and Carey Young. Writers include: Theodor Adorno, Jennifer Allen, Catherine Bernard, Ernst Bloch, Yve-Alain Bois, Nicolas Bourriaud, Benjamin H.D. Buchloh, Alex Farquharson, Hal Foster, Michel Foucault, Alison Green, Fredric Jameson, Rosalind Krauss, Hari Kunzru, Donald Kuspit, Dermis P. Leon, Karl Marx, Jeremy Millar, Thomas More, William Morris, Molly Nesbit, Hans Ulrich Obrist, George Orwell, Jacques Ranciere, Stephanie Rosenthal and Beatrix Ruf. Introduction; The Utopian Imaginary; Utopian Avant-Gardes; Therapeutic Utopias; Critical Utopias; Utopia and its (Im)possibilities; Biographical Notes; Bibliography; Index; Acknowledgements. Richard Noble is by training a political philosopher who has migrated into the field of art. Much of his writing and teaching focuses on the relation between art and politics. Head of the Department of Art at Goldsmiths College, London, he is currently writing an introduction to art theory and has published catalogue essays on contemporary artists including Antony Gormley, Mona Hatoum and Rachel Whiteread.